We like and recommend the following websites. Yoga Wikipedia– The A to Z of Yoga, right from its origin to the history and its popularity in the current generation. You can find details of references to Yoga in classical scriptures as well as its similarities to other forms of meditation. Not to forget the number of benefits Yoga has to offer along with results of some researches carried out involving Yoga. Yoga Journal– Got a query about Yoga? You will find most of your answers, if not all at the Yoga Journal. In existence from last 39 years, it started out as a 10 page magazine to now having a comprehensive website. Different poses, video tutorials, Q&A sections, Health & Lifestyle – you name it and they have it. Yoga.com– Yoga for Stress, for Well being, for disease, for weight loss, as healing! An online community which gives detailed about everything related to Yoga from experts. Articles, Videos and guidelines are something which the site has in store. Right from Beauty to Travel tips involving Yoga, this one has it all. I Love Yoga– If you are on Facebook and need tips on Yoga, this is the page you have to follow. It has lots of poses, information updates on any Yoga trainings being conducted and some videos too. You will find links to various interesting articles on Yoga and specialized Yoga retreats as well. Go ahead, “Like” the page! Anamaya Resort– If you are looking for a rejuvenating trip, head to Anamaya Resort, which would literally mean the “Good Health” Resort. Located on a cliff edge in the Montezuma town of Costa Rica, this place that breath-taking views of the ocean. Services like Yoga Teacher Training, Surfing, Scuba Diving with specialized gourmet food, this place is one of its kind. Adventure with Health is what you get at Anamaya. Costaricaecolodges.net– If environment friendly trip to Costa Rica is on your mind, then you have to visit this site. It provides details about most of the Eco Lodges in this area. The description of the green hotels, activities included at one stop is super convenient. The best part is that you get to check the rates of all the places here and make your choice! Costaricajourneys.com– Planning a trip to Costa Rica? Costa Rica Journeys is your travel guide. Details of National Parks, Yoga Retreat centres, Surf Camps, Scuba Diving centres, Animals to see and most importantly the places to stay, are all provided in this site. If you know which specific area of Costa Rica you will be visiting, they have these details segregated geographically as well. A very user friendly online tourist guide. Montezumabeach.com– If you are planning to visit the exotic town of Montezuma, you have to visit this site. Every type of information you need about your visit, you will get it here. Hotels, B&Bs, Hostels and even details of Real Estate. Over 15 types of activity details can be found here. Flight details, shopping centres, arranging a wedding, to taking up a Music / Dance class they have everything! Santa-teresa.com– An online travel-guide for Santa Teresa is what this site is. With details of Hotels, B&B, Camps, Rental places and Yoga retreats, it takes care of your accommodation needs. You will find the activities have been categorised into Beach, Land & Ocean and list of Restaurants given. To complete, they have the details of Spas & Yoga Retreats given. costarica-scuba.com– If you are a water baby and want to experience one of the best Scuba experiences, head to Costa Rica. Everything you need to know about Scuba Diving at this beautiful location has been provided in this website. From the accommodation you will require, various diving companies, diving spots, scuba map, its all there. They have a dedicated section to the sea life which you will get to experience here. Dive right in! Tropisphere.com– Been on a trip to Costa Rica and fancied a place there? Just drop in to this website and you will get a comprehensive catalogue of Real Estate across this place. From a beach facing home to something at top of a hill, they have it all. Categorized as per budget, it is easy to navigate and find something you would like. Come home to Costa Rica! 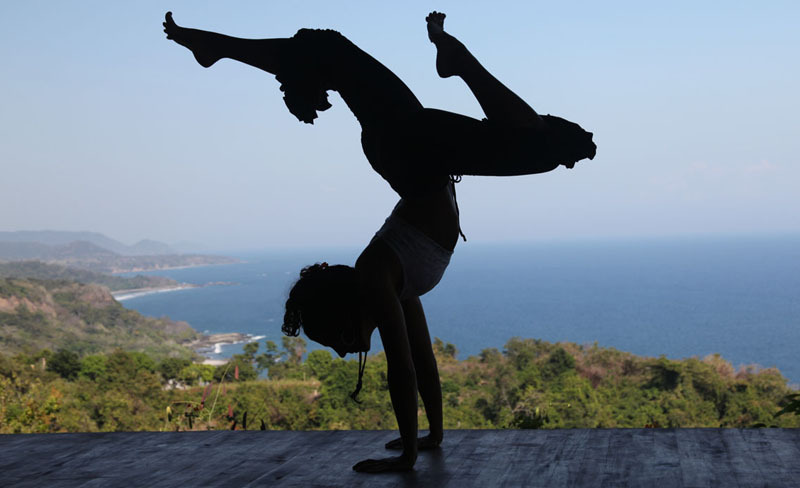 We’d love to show your website here if it’s about Yoga or Costa Rica Travel. Just contact us and send us your details.